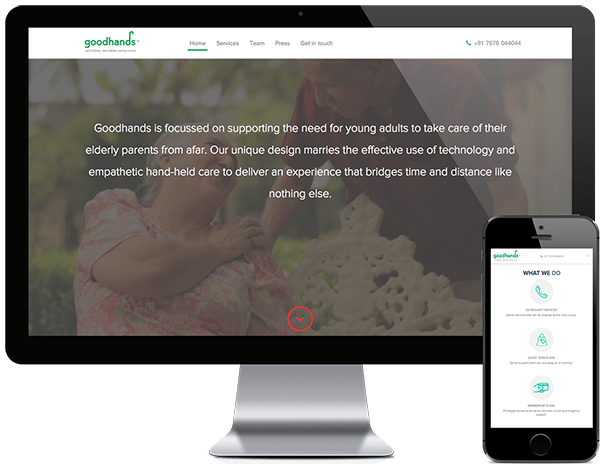 Goodhands provides holistic senior support spanning healthcare, emergency management, daily conveniences and social engagement. When the client came to us for help, we noticed that they had an aesthetically pleasing website. On deeper evaluation we found bad user experience resulting in high bounce rates. The user was also finding it hard to find relevant information. The website was coded with HTML and CSS without any CMS backend. We recommended changes in information architecture and using WordPress as a CMS. The company planned to invest time and money in digital marketing and WordPress was a perfect fit for that. We created a WordPress custom theme incorporating new information architecture changes while retaining the website’s original aesthetics.